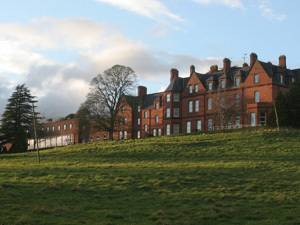 The library and archive collection at the Servite Priory Benburb is unique within Ireland and Great Britain. It is extensive (approx. 20,000 volumes) and includes two valuable collections, the Servite collection and the Marian collection, as well as extensive archival material and artefacts. It also includes a Celtic Spiritual collection and a Bible collection, as well as a collection of general religious and theological books and periodicals and a collection of Irish literature. This latter collection will form part of the O’Neill collection being currently developed, covering the history of the O’Neill Clans, and the rich and significant local history of the area from pre-Plantation until today. The Collections will be located within the refurbished Victorian Stable building which sits adjacent Benburb Priory, overlooking the beautiful River Blackwater. The Stable building is due for official opening early in 2017. Professional preservation work has commenced on the collection, with much of the work taking place on site in our in-situ conservation studio. The staff team comprises of a Project Manager, Library and Archive Officer, and an Audience Development and Learning Officer. The Servite Trust (NI) established, in 2011, a Management Board to oversee and manage the development, funding and operation of the Servite Library and Museum Project. The Servite Trust (NI) established, in 2011, a Management Board to oversee and manage the development, funding and operation of the Servite Library and Museum Project. The Management Board is chaired by Professor Gerry McKenna MRIA, (Chair of Management Board), former Vice Chancellor and President, University of Ulster. The Management Board has established an Expert Advisory Committee chaired by Professor Séamus MacMathúna MRIA, Professor Emeritus of Celtic Studies at the University of Ulster, and including representation from the user groups who will access the library and its collections.